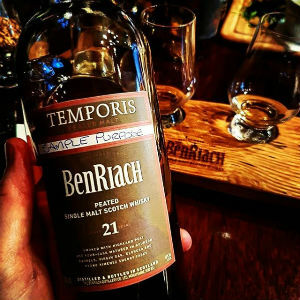 A few weeks ago I was invited to a very intimate gathering of whisky folks at The Scotch Malt Whisky Society Vaults in Leith, to be one of the first to sample Benriach’s new expression, Temporis 21yo. 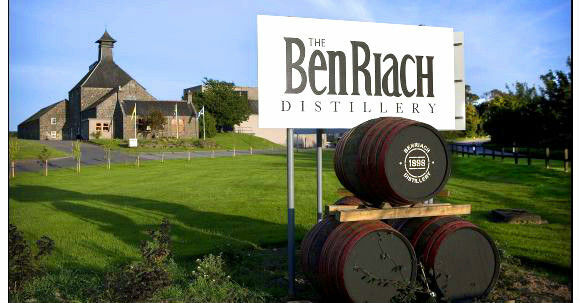 Led by Matt Chambers (off of that there excellent whisky website, www.whiskyforeveryone.com), we were guided through Benriach’s core expressions; the 10yo, the Curiositas 10yo, and the Four Cask Matured 21yo (previously reviewed here), before finishing with the new addition to the range, the Temporis. If the Four Cask Matured can be thought of as a big brother to the 10yo, then Temporis can be thought of being the same to the Curiositas 10yo. 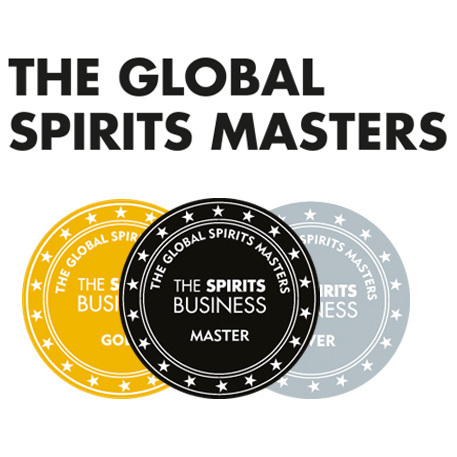 Initially, the spirit is produced using the same 45ppm-spec malt, before being matured in a combination of virgin oak, bourbon casks, Oloroso sherry casks and Pedro Ximinex sherry casks. So lots of smoky, juicy, fruity, barbeque-y notes? Let’s see. Nose: A little camphor to begin, with aromatic wood notes and soft, herbal, smoke. Sticky BBQ ribs, old tempura oil, some meaty notes, singed cinnamon stick, burnt raisins, sultana cake, and plum jam. Palate: More of the same – raisins, some molasses, honey glazed ham, cinnamon and a fair whack of clove. Then Morello cherries, faint blackcurrant cordial, leather, dark chocolate, black tea, and more peppery baking spices. Finish: Cigar ends, nutmeg, clove and long, wispy, peat smoke. Overall: Thoroughly delicious. Considering this will be approximately the same price when it’s released (in the next few weeks I think) as the Four Cask Matured 21yo, you get a lot more for your money here. 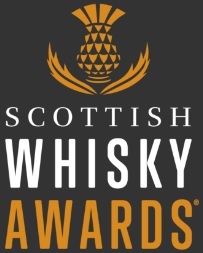 The herbal smoke, rich fruit and aromatic spices work really well together and despite having a lot of different wood influences thrown in to the mix, the final whisky is remarkably focussed, complex and balanced. Keep an eye out for this when it hits the shelves. This entry was posted	on Monday, May 21st, 2018 at 8:31 am	and is filed under Reviews. You can follow any responses to this entry through the RSS 2.0 feed. You can leave a response, or trackback from your own site.